This Katy Perry Pen measures approx 14.5cm Long and 1.2cm Thick. The Ballpoint Pen features a Retractable Black ink and a grip. It is silver and Black with the coloured design. Personalised With a design and a name of your choice. and would make a great gift for any Katy Perry Fan or Yourself. The Pen is Made of Plastic. 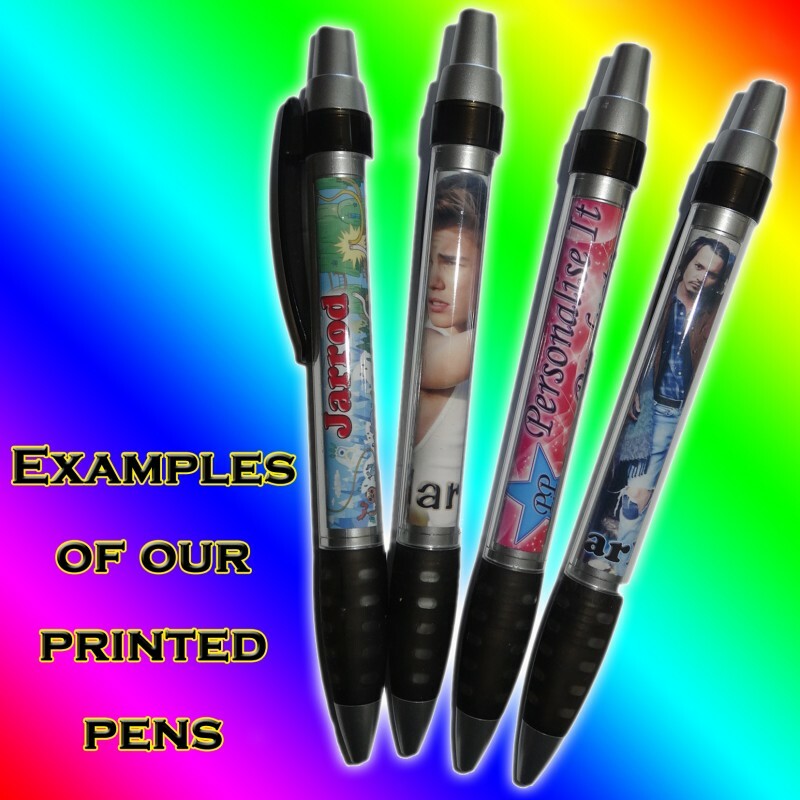 Scroll down to the 'Product Customization' section and enter the name you would like on your pen, or enter NONE if you would like the picture with no name added. Scroll back up and choose the design number you would like on your pen from the drop-down menu.